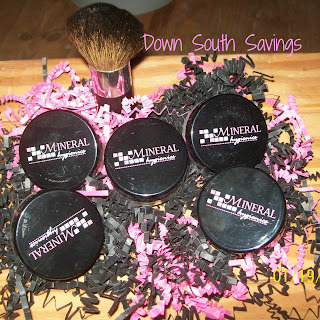 Down South Savings: Mineral Hygienics Review and Discount Code! 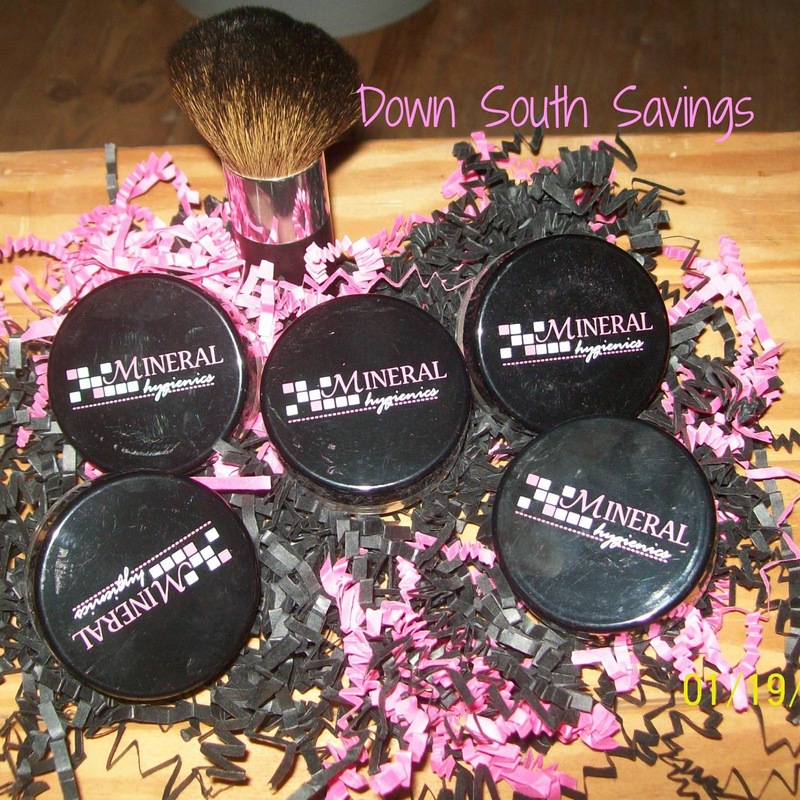 I recently had the opportunity to work with Mineral Hygienics and review their 100% Natural Make-Up Products. The Mineral Hygienics mission is to be the premier cosmetic manufacturer focusing on using natural products to promote health. They use natural ingredients to develop superior cosmetics that meet and exceed customer expectations! They will not compromise on quality. In order to accomplish this objective, Mineral Hygienics strives to build lasting relationships with their customers, suppliers and employees. I loved how the package arrived! The makeup came in a little pink see through bag with information sheets, all wrapped in the pink and black shredded paper. I received three foundations, a mineral bronzer, a finishing face powder and a Kabuki brush. I was amazed at how light the make up felt on my face. I have very oily skin and large pores. The make up covered the pores well which was a plus, because I am definitely concerned with those! Normally by mid day my make up has already been absorbed by the oiliness of my skin. Not with Mineral Hygienics! My make up lasted all day! Mineral Hygienics has many products and colors to choose from! My hope is to one day have the entire line of their mineral make up! Mineral Hygienics has generously agreed to offer all of my readers a 10% discount valid until 4-17-13!! They also offer a 45 day money back guarantee!